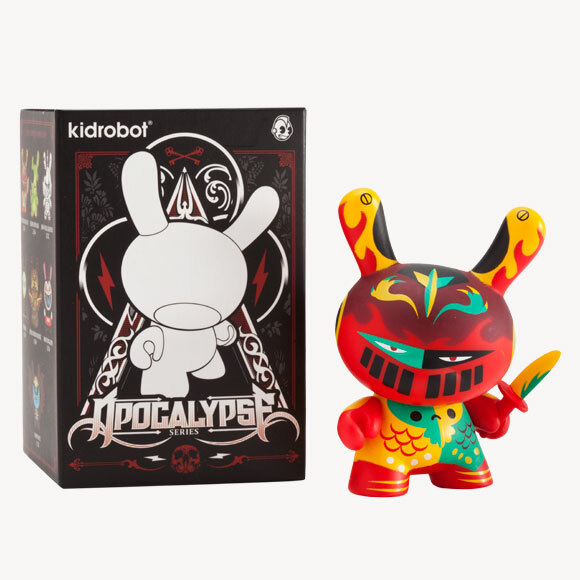 Dunny celebrates the end of the world with a group of artists so badass, you’ll wish every year prophesized mass destruction. 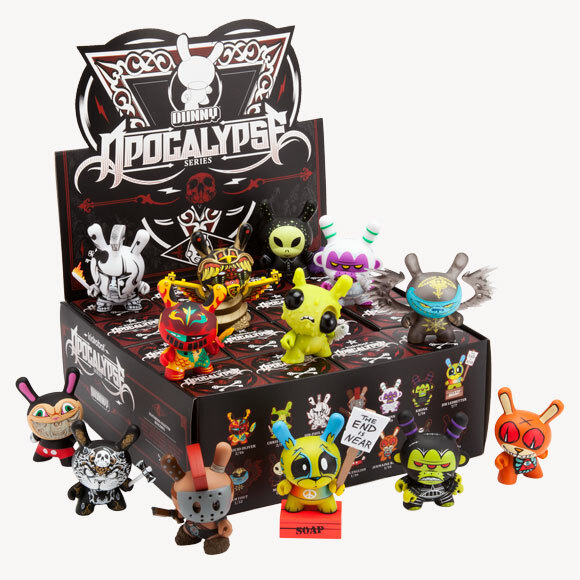 Angels of death, soapbox protestors, Mayan feathered serpents, toxic meltdowns – so many versions of Doomsday, how do you choose just one way to go? 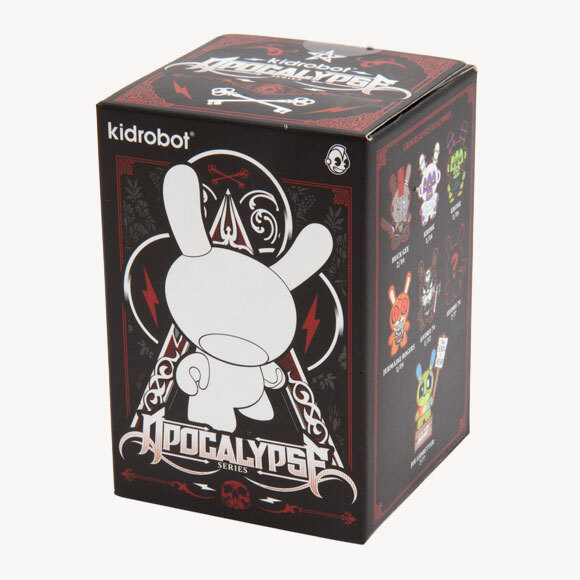 The Apocalypse Dunny Series features 15 Judgment Day designs by 12 masters of their craft – from fine artists and illustrators, customizers and toy titans – this series is cataclysmic. 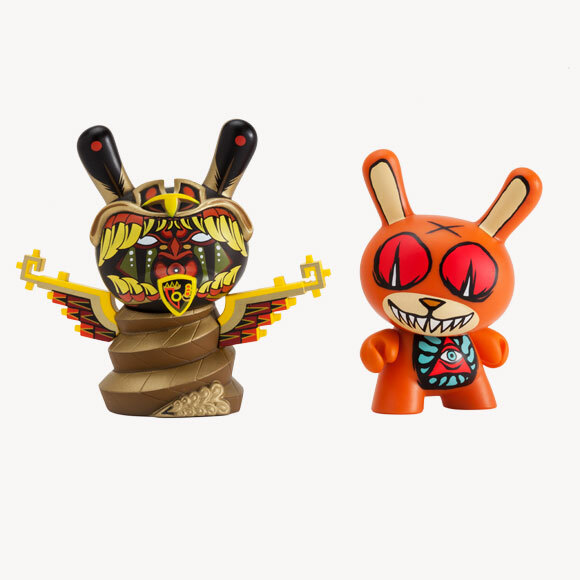 The collection includes designs by Jon Paul Kaiser, Mishka, Jermaine Rogers, Jesse Hernandez, Sam Fout, Joe Ledbetter, Ron English, Huck Gee, Patricio Oliver, Chris Ryniak, Hydro74, and Kronk. 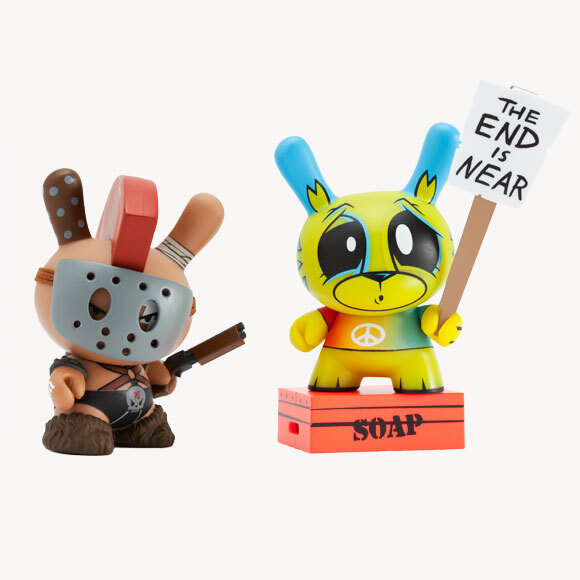 An ode to the era when people still walked on Earth, you should line them up with the rations under your garage, because even canned sardines need friends. 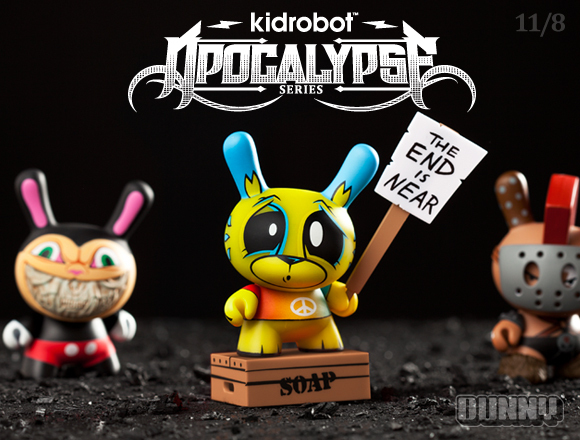 The end begins November 8 at Kidrobot stores, kidrobot.com, and select retailers. 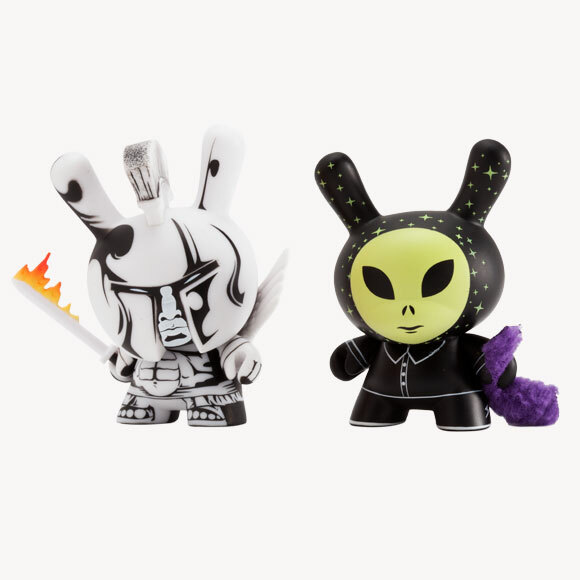 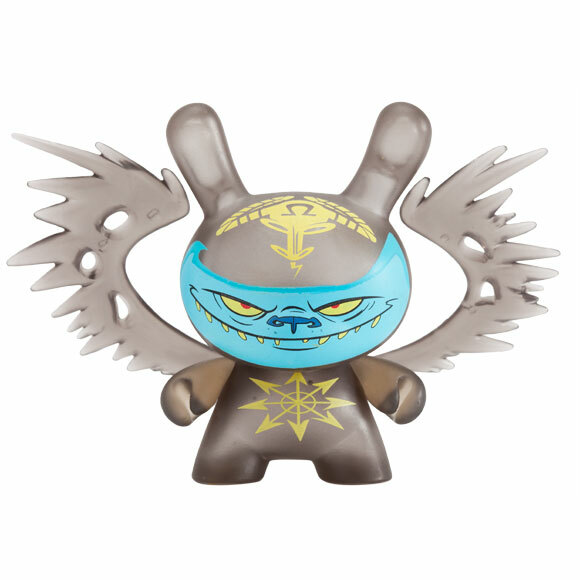 Each doomy Dunny retails for $9.95 US (£7.90 UK, €9.20 EU).